Europe's most famous season will be starting soon : the period of music festivals. Every year,during spring and summer, around the continent, worldwide famous festivals are taking place, with very known musician, djs , thousands of people, campings, and... rain. Yes, because, most of them are in northern Europe, and summer is not that time of the year with sunny , hot days with girls in bikinis.Nope. It's more about rain, mud and dirt. Being myself an festival-holic, every year goes the same question : what do I bring to the festival, what do I wear, due to these terrific condtions? And there's the deal : how to look fashionable ? Well, recently, Kitsuné answered my question, by collaborating with Aigle, famous french brand of outdoor clothing and rubber craftsmanship experts. 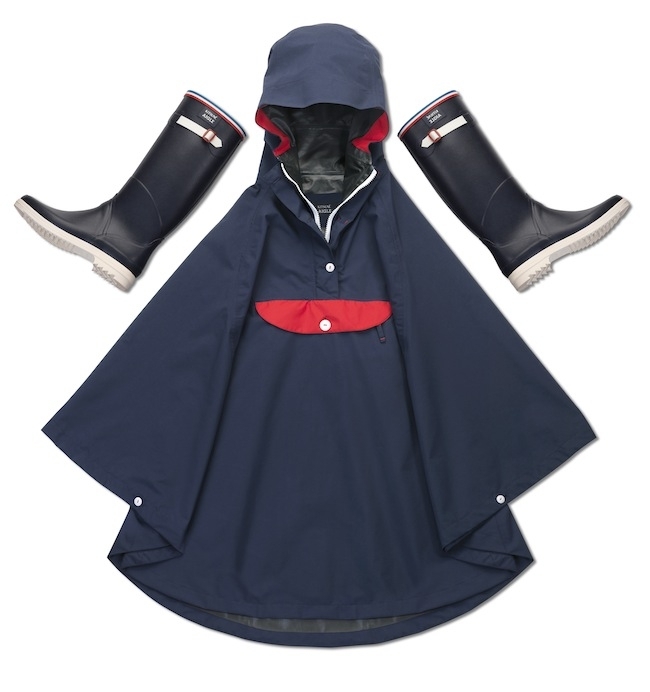 Named the Festival Outdoor kit, is is basically a panoply comprising a Gore-Tex unisex poncho and a pair of boots, all flocked with the Kitsuné colours. Decidement je suis folle de ses bottes. to higher stages more rapidly. (I'd setup a giant stack almost to your top but then My partner and i won).